Sometimes described as a clumping plant, but really only has one trunk, which is either very short or entirely below ground. Leaves are palmate or slightly costa-palmate and vary from green to blue-green in color, with usually no more than a half-dozen on a single plant. They differ from the leaves of other native dwarf palms by having a split "V" right in the middle. Native habitat: The Sabal minor has the same habitat as the needle palm, only much more common. Size: The usual size is 4 to 5 feet high and wide. Growth rate is slow. Cold hardiness: Hardy throughout most of the Southeast, but not as hardy as the needle palm. Established plants will take short spells of subzero weather, though some leaf damage may occur if temperatures go much below ten degrees. Like the needle palm, it's not really bothered by cold, wet winters. Wild specimens are often under shallow water during the winter months. Culture: Dwarf Palmettos prefer a moist, sunny location. A bank of a creek or lake is an ideal situation. 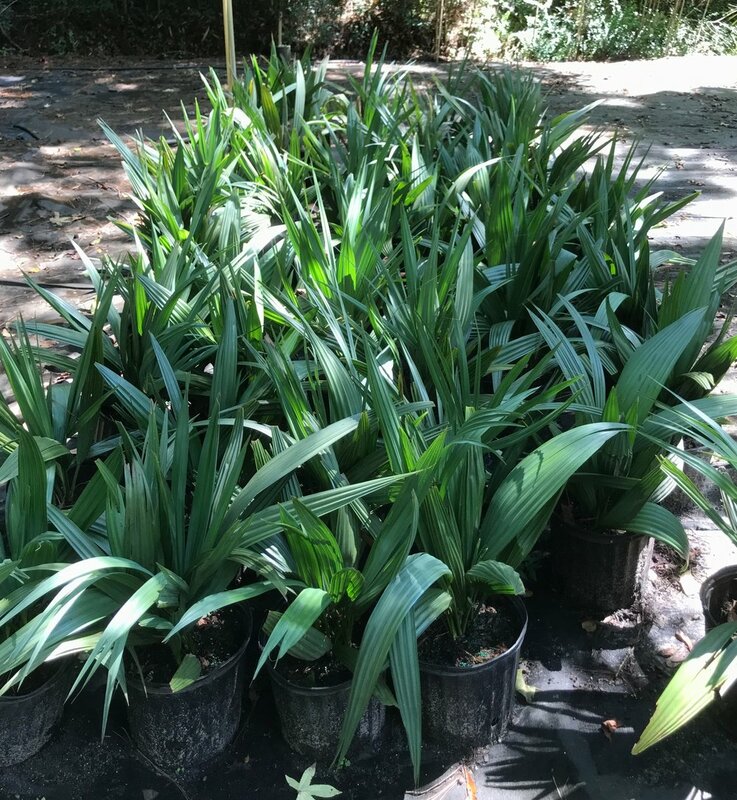 These palms will also tolerate a fair amount of shade, but growth and blue color will be best in full sun. Any soil with adequate moisture will suffice. It only thrives in areas with hot, humid, summer weather. Landscape use: Used best in groups, but can also be effective as a single specimen. It tolerates some salt spray.